Net Neutrality provides free information accessible to everyone, and this technological revolution became a game changer for almost all industries, including independent cinema. 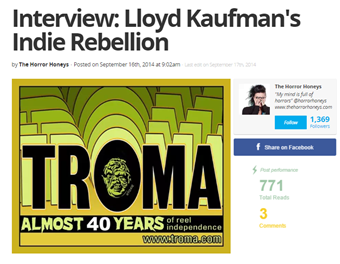 People can now watch movies online for free, and this is one of the main reasons why outfits like Troma Entertainment is experiencing a golden age. The internet gave them a way to rise beyond the clutches of mainstream cinema, to attract a larger audience that they never would have gained a decade back.